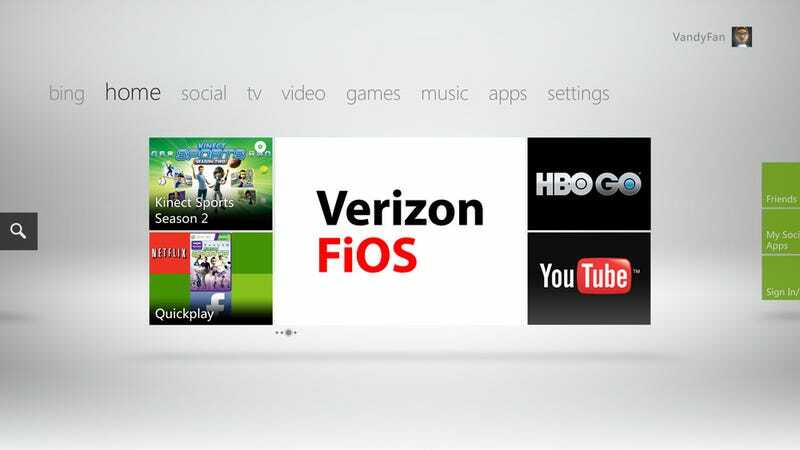 To access the service customers will need to subscribe to both FiOS TV and FiOS Internet and be Xbox LIVE Gold members. The service, will require downloading a free app for the Xbox 360, will also support Kinect voice and gesture controls. Verizon is also kicking off a new package for people wanting to switch over to their service. The offer includes triple-play service with FiOS TV, FiOS 35/35 Mbps Internet service and Verizon voice service, starting at $89.99 a month. The offer also includes a 12-month Xbox LIVE Gold Membership and the "Xbox Halo: Combat Evolved Anniversary" game. It is available through Jan. 21. While the service is launching with 26 channels, Verizon says they do plan to add more. You can check availability here. You can check out the full channel listing here.